LOVE LOVE LOVE these!...I have been looking for a set like these for over 10 years and am so very happy with them..I would buy again in a heartbeat!..and the best thing about them is I was lucky enough to catch them on sale .. This classic feather and down pillow is specially designed with 100% polyester fabric which with wave quilted pattern. 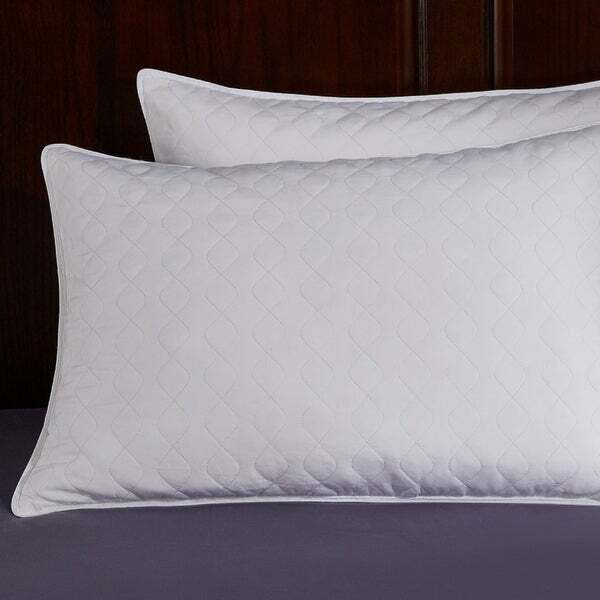 This set of two pillows are filler with 95% white goose feathers and 5% white goose down for a comfortable nights sleep. Pillows are made from 100% polyester fabric with wave quilted pattern. Filled with 95% white goose feather and 5% white goose down. Spot Clean, Dry Clean Recommended. Materials are Responsible Down Standard certified and cleansed by Oxipower technology.